It’s autumn, what do you like best? The smell of the air, the beautiful leaves, and strangely enough, making friends with my coats again, the ones that have languished, unused, as soon as it got warm enough to cast them aside. Do you eat chestnuts, berries or anything else free to be found in nature? Give us a recipe. I eat both of those things and mushrooms, too! My favorite recipe is chestnut stuffing, which our family has had everything Thanksgiving since I was born, but I’m not allowed to share, sorry! How about this: take a handful of berries…eat them. Simple and easy recipe! Do you have special autumn memories? 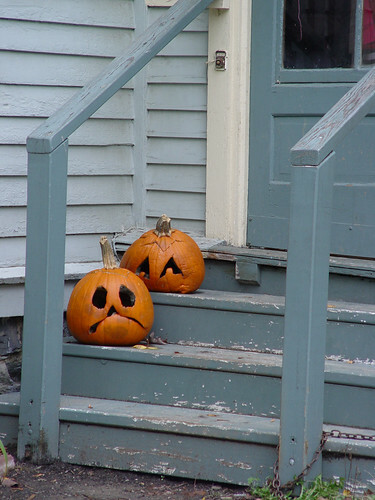 Memories of trick or treating as a child…of dressing up as a teen & young adult and going to parties…building scarecrows out of Dad’s old clothes and leaves…the smell of leaves burning after being raked into piles (not allowed to do this anymore, a pity).